What Can Make Maple Trees Grow Faster? There are 13 species of maple trees native to North America. Some are naturally fast-growing, while others grow slowly. If you want your maple tree to grow fast, you should start with a fast-growing species. 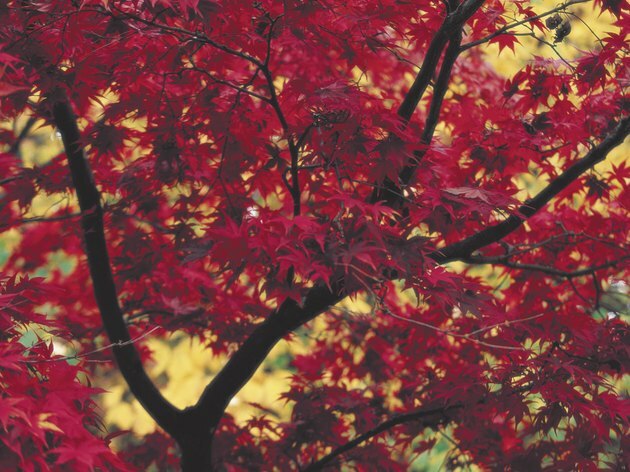 Silver maples grow faster than any other maple, but red maples are fast-growing, too. Both species are considered moderately short-lived, with a life expectancy of around 150 years. 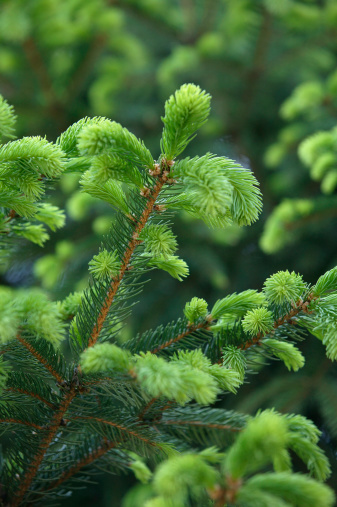 Once you have your tree, you can do several things to stimulate growth. Red maples are a fairly fast-growing species of maple. Tree shelters are translucent tubes that are placed around young seedlings. The tube creates a small greenhouse around your tree and allows it to grow faster by extending its growing season. Young seedlings can start growing earlier, and their growing season is extended later into the fall. In addition, tree shelters protect young trees from deer and rabbits. They're designed to work for seven years, eventually breaking down in sunlight at about the time the trees outgrow them. Maple trees prefer different types of soil, depending on the species you're growing. Planting your tree in the right soil encourages it to attain its maximum growth, according to the USDA Forest Service. Red maples and silver maples, for instance, can grow in a wide range of soil types, but they do best in moderately well-drained, moist soil. Providing your maple tree with adequate fertilizer reduces environmental stress and encourages vigorous growth. The best way to tell if your tree needs fertilizer is to test the soil, but there are other indications you can use. Look at new shoot growth. Your tree needs fertilizer if it has produced less than 2 inches of new growth in a season. Fertilizing may be helpful if there's between 2 and 6 inches of new growth but, no fertilizer is necessary if your tree has grown more than 6 inches. Increasing the amount of nitrogen will have the most effect on growth. Mulching doesn't guarantee that your maple tree will grow faster, but it can help by increasing the amount of water available to your tree. By helping keep the soil moist, mulching promotes maximum root growth. Silver maples have shallow roots that are easily damaged by lawn mowers. Trees lose vigor when damaged, so mulching these trees is a good way to protect them. Choosing the right mulch is important. Some mulches, such as those made from straw or sawdust, can cause nitrogen deficiencies in the soil. Composted yard waste and composted sewage sludge mixed with wood or bark increase soil fertility. Most trees form relationships with mycorrhizal fungi. These fungi live on the tree's roots, increasing its surface area and letting the tree absorb more nutrients and water than it could on its own. In exchange, the tree provides the fungi with sugars it needs to survive. Trees growing in soil with mycorrhizal fungi not only have a better chance to survive, they also show increased growth, according to horticulturists at Ohio State University. What Do Maple Trees Need to Grow?